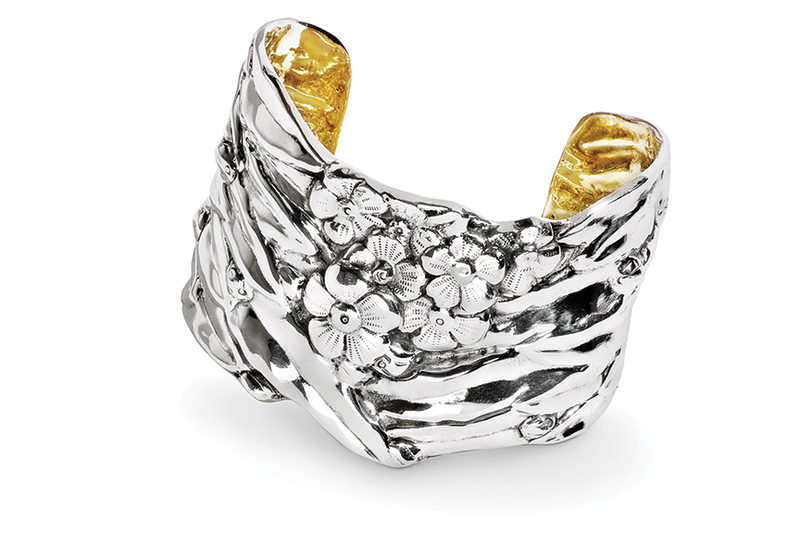 The Cherry Blossom Cuff features a distinctive, angular shape. The bracelet measures 2” at its height and 6.5” around. Its foliage design has a "strapping" effect and is topped with scattered tiny springtime blossoms.